A Boca Injury Attorney is dedicated to providing you with the legal representation you need. At the Law Offices of Robert E. Gluck, P.A., Robert Gluck has the experience you can trust. He has been practicing law since 1989 and has helped many clients with their cases. Whether you have been in an automobile accident, were injured on someone's property, or suffered an injury from a defective product, your Injury Attorney, Robert Gluck, is completely devoted to and experienced with the necessary procedures needed for your claim. For anyone to file a claim, you first need to prove there has been negligence. Negligence is the standard of care one must follow to avoid injury to others. If you and your Boca Injury Attorney can prove your injury was sustained as a result of negligence, you will be able to move forward with your case and the party responsible for your injuries may be required to pay for your medical and recovery expenses. 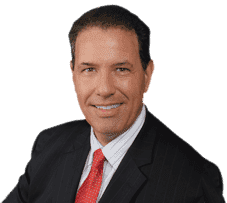 Upon hiring Boca Injury Attorney Robert E. Gluck, he will instantly open a thorough investigation into your claim to try to prove negligence on the part of the other party. He will find and obtain statements from any witnesses, locate any video surveillance of the accident / incident, take photographs of the accident scene, asses any type of property damage, and gather additional evidence he feels is necessary to building a strong case for you. All of this evidence is crucial in proving someone else was responsible for your injuries and should assist with the medical expenses needed for you to recover. Your Boca Injury Attorney, Robert E. Gluck, P.A., will be with you every step of the way. He brings extensive experience to the table, having been practicing law since 1989. After completing the necessary investigation, he will continue to support you by reviewing your medical records with you, obtaining a settlement you deserve, and negotiating with the insurance company at the end of your treatment. It's imperative that you call Robert Gluck to help you with your case. Studies have shown that those who seek legal representation tend to receive a higher compensation than those who don't.